Typhoid Mary may have infected a hundred or more people, but asymptomatic carriers of malaria infect far more people every year. An international team of researchers is working toward a way to identify malaria patients including infected individuals who show no malaria symptoms. 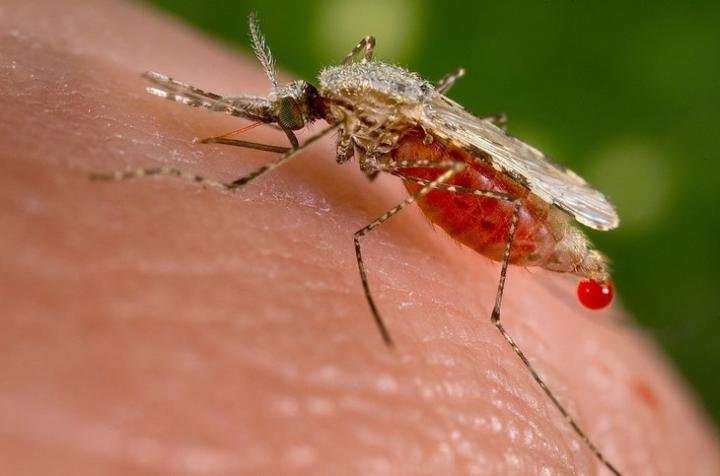 The researchers wanted to see if they could identify changes in human odors associated with malaria infection that might be useful for diagnosing infected individuals. They were particularly interested in identifying those who were infected, but had no symptoms. The researchers initially used microscopy and an SD Bioline Rapid Diagnostic Test to identify patients with malaria. Because these methods have limited sensitivity, particularly when parasite loads are low, infections were confirmed by DNA tests. They identified 333 people who unambiguously were either infected with malaria or were not infected with malaria. Only if both microscopy and DNA studies were negative were subjects considered malaria-free. Infected patients for the initial studies were both microscopy and DNA positive for malaria. In some later analyses, the researchers included 77 people who were positive for malaria according to DNA, but showed no parasites in the microscopic tests.Malaria infection does not create new volatile chemicals in the body, but alters the amounts—up or down—of volatile chemicals that are already present in the odors of healthy people.